In an effort to continue to build strong relationships with current and future customers while maintaining excellent service and low prices, we have created this guide to answer your questions. 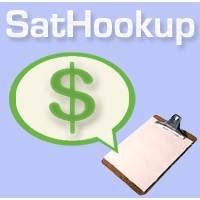 Whether you are already a SatHookup customer, trouble shooting your existing system, planning on making a purchase or start a project in the near future and need some advice, this easy to follow guide can help you quickly solve your communication problems. Below is information, advice and other resources available to help with your TV, Internet, and Phone satellite and cable systems. Once you are done with your research, you can shop our online store, order tv service, or find a local installer. Your first step is to browse our FAQ's to see the most common questions that come across our desk on a daily basis. 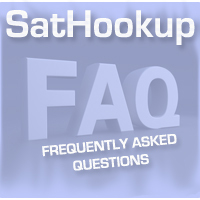 Communications problems and issues for Dish Network, Directv, FTA Free to Air and other Satellite TV systems, the SatHookup Network, and other General Questions are located in the SatHookup FAQ section. In addition, quickly browse the 10 most popular FAQs, updated daily, and even vote and view ratings for Answers to the frequently asked questions. 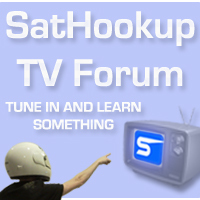 Check our live tv forum for up to date discussions, question posts, and answers updated in real time. Browse questions on various topics including TV, Internet, Phone, Satellite, Cable, Fiber Optic, Home Theater services for Residential and Business Communications.